Lila Ibrahim is the Chief Business Officer of Coursera. 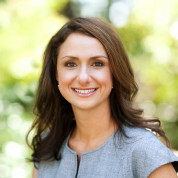 She is also a strategic advisor at venture capital firm Kleiner Perkins Caufield & Byers (KPCB). Previously, Lila had a diverse 18-year career at Intel Corporation where she held a number of leadership roles including Chief of Staff to the CEO and General Manager of the Education Products Group. Lila initially joined Intel as an engineer for the Pentium® microprocessor and went on to pioneer the Intel’s developer program and lead the company’s role in establishing DVD standards for PCs. Lila’s achievements have garnered international recognition, including her appointment in 2014 to the U.S. Secretary of Commerce’s National Advisory Council on Innovation and Entrepreneurship (NACIE). Other honors include: Henry Crown Fellow by the Aspen Institute (2011), Young Global Leader by the World Economic Forum (2007), Women of Vision by the Anita Borg Institute (2010), and Outstanding Electrical and Computer Engineering Alumni by Purdue University (2010). Lila is co-founder of Team4Tech, a non-profit established in 2012 to improve education in developing countries through innovative technology solutions. Lila earned a bachelor’s degree in electrical engineering from Purdue University.